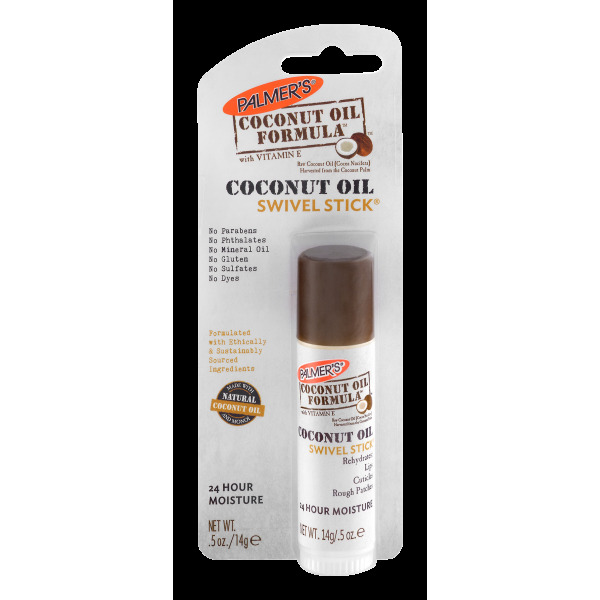 Palmer's® Coconut Oil Formula™ Coconut Oil Swivel Stick is super moisturising and perfect for rehydrating dry, cracked lips, cuticles or rough patches. Palmer's® Coconut Oil Formula™ products contain ethically and sustainably sourced Coconut Oil and Tahitian Monoï Oil, infused with Tiaré flower petals. These raw, natural ingredients deliver rich moisturisation for soft, pampered lips. No Parabens, Phthalates, Mineral Oil, Gluten, Sulphates or Dyes. 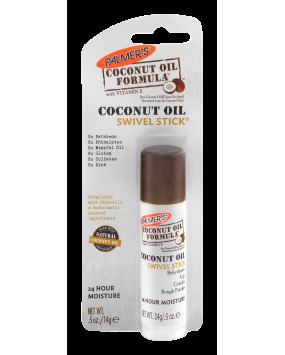 Apply as a spot moisturiser to any rough, dry skin including lips, cuticles and face.